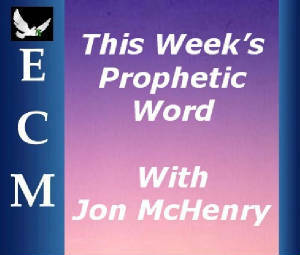 Jon McHenry a Messianic Jew who walks on the floor of the Prophetic will be sharing spiritual insights with all of us as Holy Spirit leads and directs. Jon is married and lives in Moore, Oklahoma, USA. Shalom. As I sit here writing this the Lord is giving me a vision. I see the four horsemen of Revelation riding hard and fast toward us. In front of them a dust storm hides their approach. When this storm clears, they will appear. I'm reminded of the Iranian President's words about Israel being destroyed in one storm. This I believe is the storm that will give way to four horsemen. We know that God rescues Israel from this storm, yet for a time they will deal with the horsemen. I also see the crush of life's cares and lusts being perpetrated on God's people. As the time approaches for the Anti-Christ to appear, society is being made made more and more to view us believers as the enemy. This will prepare the way for us to be rounded up during the Tribulation. Make no mistake friends, the tribulation is rushing towards us, and if we aren't watching and praying, we will not be ready. I encourage you to read the 7 letters to the churches contained in the first 3 chapters of Revelation, and take them to heart. Also be praying for the unsaved especially in this and the coming time, as the Lie will become harder and harder to resist. Blessings. There is a significant difference between the world’s prosperity message and the Gospel’s prosperity message. But the message of the Gospel is knowing the will of God and using His abundant overflow to take the Gospel of Jesus Christ to the world. There are 2,250 scriptures in the Bible that deal with money, and the Bible focuses much time on how to be a good steward over your money. How you handle your finances determines how you handle your life. The difference between a nonbeliever and the believer is greed versus giving. And that difference in 2009 will become even more marked as God pours out amazing opportunities on His children. One point to remember: God doesn’t always pour out a financial harvest first. Many times He showers us with ideas and breakthroughs that turn into financial harvest. Our friend Oral Roberts calls these “concepts, insights, and ideas.” And your entire life can change literally overnight as God pours out His wisdom on you. Those who tap into this outpouring of increased opportunities will truly be revolutionized during the coming months, and I want you to be one of those people! We are told in Scripture, “Wisdom is the principal thing; therefore get wisdom: and with all thy getting get understanding” (Proverbs 4:7). God’s wisdom is different from the world’s knowledge. You can get all the degrees and knowledge from the greatest universities and still not understand what God desires to do in you and through you. How do you buy wisdom and understanding? You get it through the knowledge that God wants to pour into your life. The Bible tells us, “But this is that which was spoken by the prophet Joel; And it shall come to pass in the last days, saith God, I will pour out of my Spirit upon all flesh: and your sons and your daughters shall prophesy, and your young men shall see visions, and your old men shall dream dreams” (Acts 2:16-17). In the last days, God will pour His Spirit on all flesh and that will lead to increased dreams, visions, and miracles. We are seeing this happening all around the world. What better vision than the Great Commission: “Go ye therefore, and teach all nations, baptizing them in the name of the Father, and of the Son, and of the Holy Ghost” (Matthew 28:19). People are responding like never before as we share the life-changing and miracle-working Gospel through crusades, broadcasts, and mission outreaches. And God has so much more for us to do as we join together in 2009! 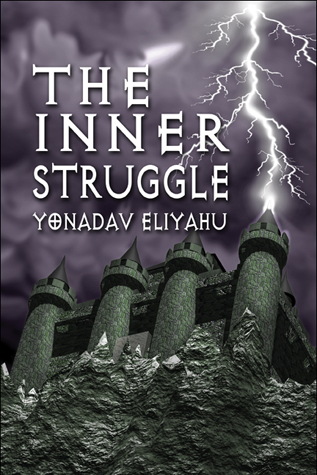 This will be a year when you will have greater supernatural guidance than ever before. What a wonderful promise we have: “And I will give thee the treasures of darkness, and hidden riches of secret places, that thou mayest know that I, the Lord, which call thee by thy name, am the God of Israel” (Isaiah 45:3). The Lord wants to lead you to riches in secret places. He knows where the opportunities are. He knows where the ideas and concepts are. If you will learn to listen to Him, especially as you then learn to respond through your faith, He will show you what you should do, the roads you should take, and the doors you should walk through. He is ready to intensify His leading in 2009! Wrong people never seem to leave your life voluntarily. They will stay in your life as long as you permit them to. It is so important to listen to God’s direction about the right and wrong people in your life, and during 2009 there will be a greater ability to discern the intent and motives of people around you. 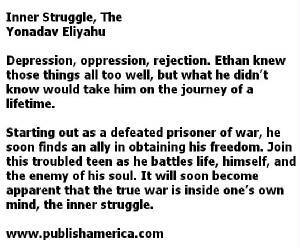 Many have been through terrible struggles in 2008. Perhaps you are still involved in major struggles right now—perhaps relationships, finances, roadblocks, job loss, illness. God is ready to turn things around for you as you follow Him in faith this year. I’m ready for that, aren’t you? A Prophetic word from Chuck Pierce. The Lord says, "Let the sound of reformation come into you. Feel the brooding of My Spirit over you. My Spirit brooded over the confusion of the earth realm, and I can brood over your confusion. Fully submit your spirit to gain insight into My plan of reformation. Ministries are reforming. Lives are reforming. Cities are changing. Church gatherings are reforming. There is a cataclysmic ending and beginning going on in the earth that is creating My plan of fullness. "There is a mounting up. Angels are guarding your reforming. Life systems around you are changing. The water is being applied to the clay and the Potter's wheel is accelerating. You must be ready and start coming up and I'll meet you halfway. I will overshadow you as you ascend. I will shadow you and bring you through the confusion you've been in. Be ready. Come up. Ascend and watch that confusion end. "I am making you ready now. Watch Me get you ready. Be ready to move with Me quickly. Be ready to make a quick decision. Be ready to move and advance with Me. Be ready for the third day. Be ready for the change. Be ready for your new assignment. Be ready to move with Me. Be ready, for the third day is coming over you and overshadowing you! "I am working in your life to make you ready. Like Peter's mother-in-law, be ready to rise up from that fever that has held you down. Be ready to serve Me. Be ready to go up. Be ready to be assigned. Be ready to make that change. Be ready to go forward. Be ready to demonstrate My power in the path where I have placed you. "Be ready for the change that is about to happen in your life. Be ready! Sanctify and ready yourself, for this is a day that I will call you quickly and change your circumstance quickly and cause you to rise up. From the direction you were taking, you will shift immediately. Be ready, for changes are coming—suddenly. I AM singing 'Suddenly! Suddenly!' Sing with Me and ready yourself to move quickly. "Be ready for the call. Keep your lamp ready. Keep the oil filled within you. Make ready. Be ready. Move forward with Me when I call, for the call is 'on the way' to you. Many of you have grown weary in the delay, but be ready, for this day of change is upon you. Do not grow weary in doing what is right. Keep your lamps trimmed. My hour of visitation is near you. Be ready and don't go to sleep. Be ready to move. "This is a day that I AM re-orchestrating your circumstance. The circumstance around you has attempted to invade your atmosphere of hope. Now I am re-orchestrating that circumstance. Even over the last 18 months you have seen and resisted the rearrangement of things. Now I will re-orchestrate the event. Watch for the event that I am bringing you to. Watch for the time of change and be ready. Know and rehearse My word. Move in the dark structure around you with My word. "The gate of your entry is forming. The next level of revelation is coming. Be ready. Refill yourself with oil. Be ready to move quickly with Me. Take your lamp and say, 'Lord, I don't want to be foolish.' Be ready with My word. Be ready with My word at a moment. Sanctify yourself. Make Me to be full in your heart. Be ready. "But even if you should suffer for righteousness sake, you are blessed. Do not be afraid of threats nor be troubled. I am ready to remove anything that's troubling you. Deliverance is coming. I WILL remove the anxiousness in My people, for deliverance is coming. "Sanctify your hearts and always be ready to give a defense for the reason for the hope that is in you. Let hope spring up. Let the defense of hope be readied upon your tongue. Be ready now to defend your hope that is within you. Do not allow the hope to flicker and go out. If you allow the hope to go out, the defense that you must create in your atmosphere will not be able to be created. Renew your hope today. Fill yourself with hope that you might defend the hope that is within you. "The enemy has come and put you on the defensive, so defend your hope today. Do not back up and do not come into agreement with the enemy who has tried to squeeze hope out and cause your faith shield to fall. Defend your hope today. Ready yourself and allow My words to form within your mouth in a new way. My word is very near to your mouth. It will form in your mouth and what you need to say today will rise up. "Ready Yourself to Move Quickly"
"Throughout My Kingdom I decree that a new word is ready and on the lips of MY people today. They will have the right word and will be favored. They will pick up the phone and call. They will pick up the phone when they are called. They will be ready to go to their next call and assignment. Be ready to rise up immediately from your infirm state and serve. "My word is coming alive again. Ready yourself to be healed! Some of you have come into agreement with your infirm state. You are lying still but you are not ready to be healed. I sent My word and healed them. My word is very near to you. "Your deliverance is near. Ready yourself, for your deliverance is near. Ready yourself, for the enemy is targeting My people in a different new way! Ready yourself with the word of defense. I AM planning a surprise confrontation of the enemy that is coming against My people. "Give Me the hour and ready yourself, and your oil will remain full within you. When words come against you in the morning hour, by noonday you will break through. I am resting on you and loosing this through the atmosphere of MY Kingdom. "Be ready, for certain things will end suddenly and new ways will open and begin suddenly. Do not fear your abandonment! Just be ready to move into the next place that I offer you. Some of you will move into a new realm of helping. This is a season where the gift of helps will be exalted in a new way and made efficient. Some of you will move into a gift of healing, for My people must be readied and healed. "Counseling will take a back seat to impartation during this time. Word of wisdom will come by My Spirit, word of knowledge will be released, and you will know immediately how to move. The time of counseling is not at hand but the time of advancement and 'suddenly' is upon you! Therefore, ready yourself. "My word will stir within you and you will hear a word behind you telling you which way to go. New circuits are being replaced. I am beginning to remove the circuits My people have been on and create new circuits." I also want to give a personal exhortation to South Korea: "Be ready! There will be a great cataclysmic event." In January, I traveled to Korea and gave a word that they would release a missile in April. This would be a sign. "Make yourself ready and be alert to what is happening around you. Be ready. I call in that next generation. They will leave their foolishness and will make their lamps ready. "California, be ready! Florida, be ready! Taiwan and China, be ready! Shakings are coming. Houston, be ready - visitation is coming!" 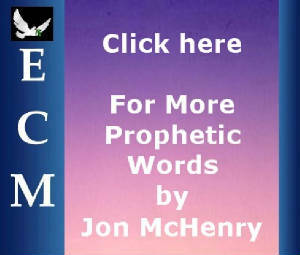 Click on the links below to enter Prophetic Ministries.